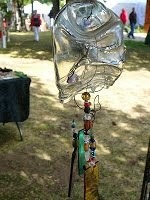 Green and Glassie: Recycled Garden Art - We can make a difference! 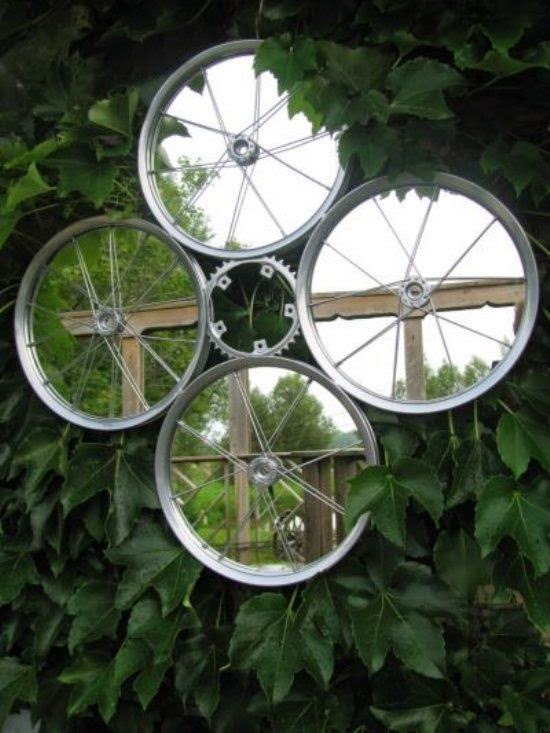 Recycled Garden Art - We can make a difference! 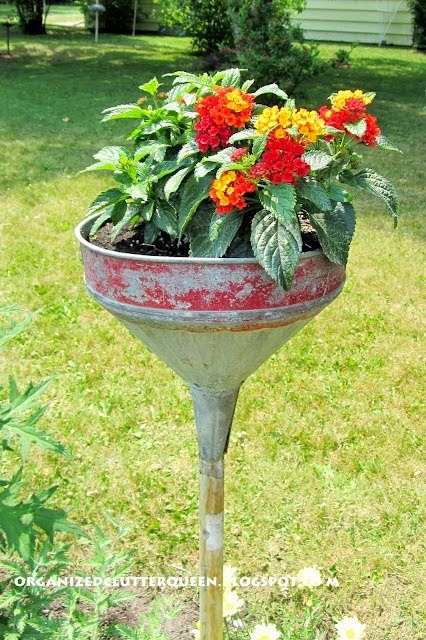 Gardening using Recycled items.......this year when you design your gardens and your flower beds....use RECYCLED items to give them your own personality! Be creative! Check out this Pinterest Page for so many really neat idea!!! Here are a few pics from the Pinterest Page! I love this whole concept! I love the teapot and cup! 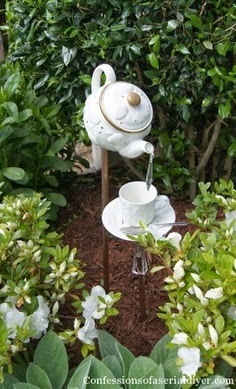 I love recycled garden art! I made a gazing ball from my mother's bowling ball. It is in reality a great and helpful piece of info. I’m happy that you shared this useful info with us. Please stay us informed like this.Thanks for sharing.